The winery is situated on rolling hills in a picturesque setting. 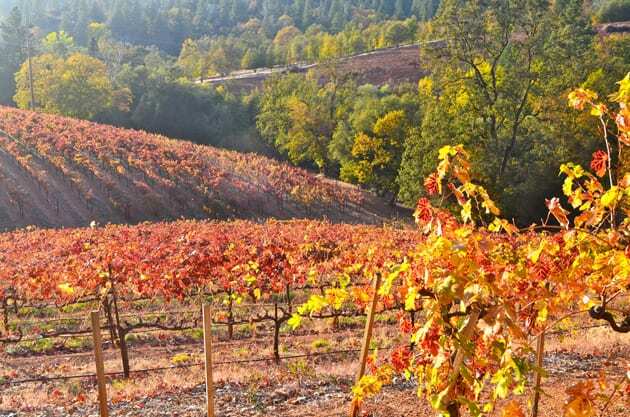 Visiting the winery in the fall presents a spectacularly beautiful backdrop of gold and orange set against the pines that grow in the area. Today the original winery, established in the mid 1800s as Lombardo/Fossati Winery, now functions as an auxiliary tasting room. In addition this charming tasting room features artifacts from the original winery. 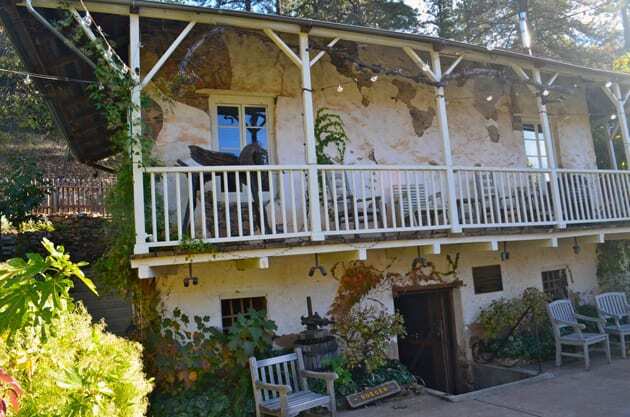 During the Gold Rush and continuing up until Prohibition, wineries flourished in the El Dorado County. There was quite a demand for wine. After Prohibition, the wine industry lay dormant until the late 1960s when experimental vineyards started cropping up in the area. 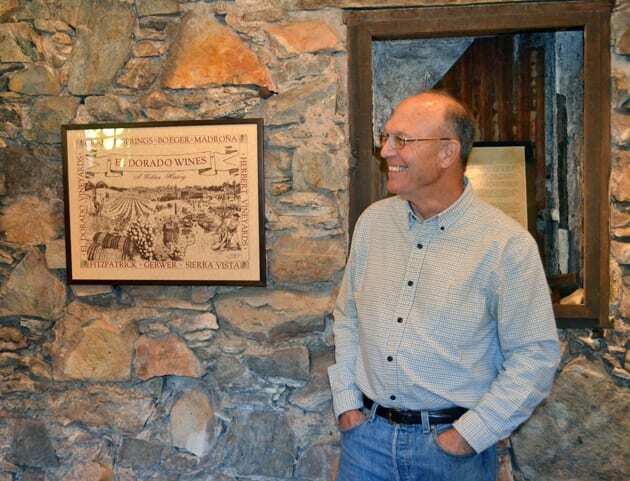 In 1972 Greg Boeger purchased the property where his winery now sits, thus becoming one of the first to forge the path in reestablishing the wine industry in El Dorado County. 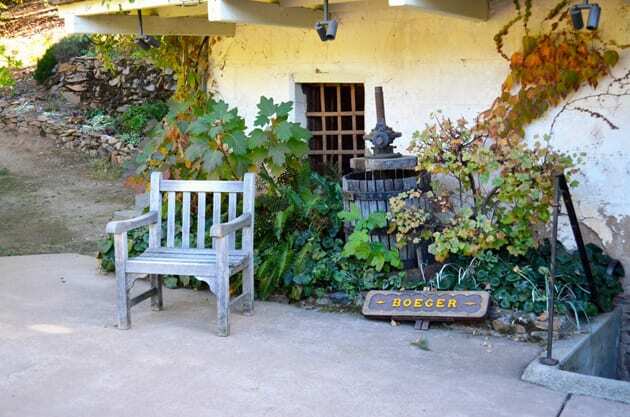 Boeger also became the first commercial winery to reemerge in the region. Greg Boeger grew up around his grandfather’s winery, Nichelini in Napa. It was only natural from his time spent in Napa that he pursued his interest in winemaking. After graduating from UC Davis he moved to El Dorado County to start Boeger. Today Greg oversees the vineyards while his son Justin assumes the responsibilities and role of winemaker. Boeger’s diverse portfolio of wines includes both Rhone and Bordeaux varietals. Boeger also creates some Spanish and Italian wines. 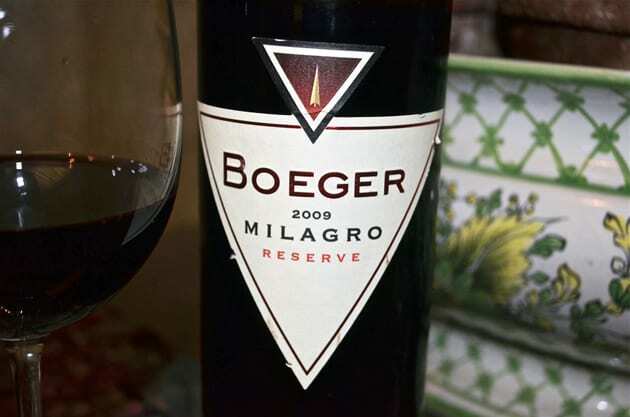 I recently sampled Boeger’s 2009 Milagro, a wine composed of the Spanish grape, Graciano. The Graciano grape grown primarily in the Rioja region of Spain is also known for its intense aromatic qualities. Like many Spanish styled wines, I found a big, bold and full-bodied wine. The wine displayed beautiful aromas of cherry. A rich smoothly balanced wine with a deep purple color and wonderful flavors of black cherry, cocoa and vanilla. Perhaps the difference in this wine compared to a Milagro from Spain is the elevation in which the grapes are grown. The winery’s location in the Sierra Foothills insures that the wines intensity brings forth the expression of the fruit in a rich manner in addition to accentuating the unique terrior of El Dorado County. Upon tasting this wine I am anxious to try some of the other red varietals and blends from Boeger. After over thirty years of producing wine, the integrity of the winery and knowledge of the winemaking process really shines through in Boeger’s wines.